BillGuard is an app that helps you monitor your financial transactions. By that, I don’t mean it’s a budgeting program. It’s a program that automatically keeps track of every transaction you make, to help you stay on top of fraudulent charges. For someone with only one or two credit cards, this may not be a big deal, but for most of us with 10, 15, 20+ cards, this is huge! Instead of logging into your accounts every day, you can simply check your BillGuard account and be on your way. It’s definitely a time saver. Sounds great right? Hit the break to learn more. To be honest, the web app is pretty new to me. I only found out about it while I was researching this post, but it quickly became an addition to my bookmark bar. It can show you all your transactions by account, how much you’ve spent in a certain time frame, and a lot of other analytics. It’s pretty sweet. You can find the online sign-up page here. The mobile app made me fall in love with BillGuard. It offers you fraud protection, coupons, analytics, and the ability to look at transactions made on all of your accounts with a glance. 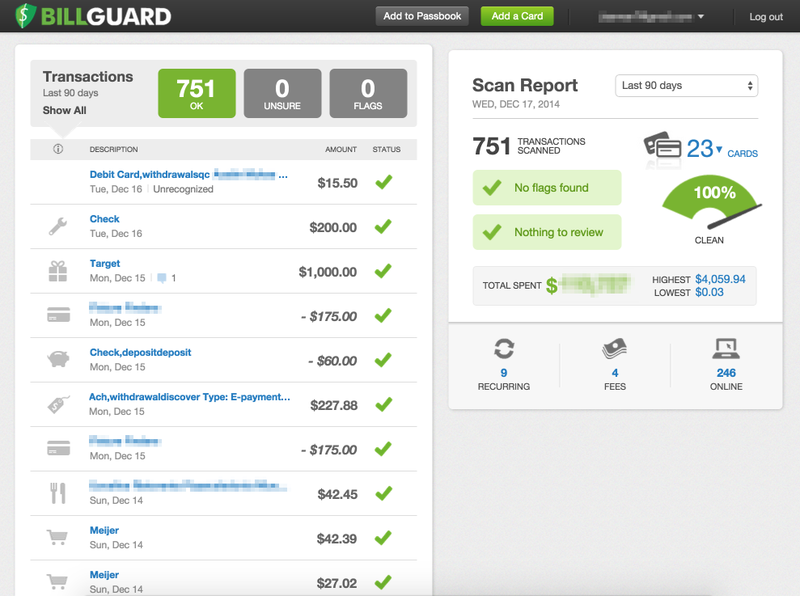 The fraud protection BillGuard offers is not a reimbursement, because your debit and credit cards already do that. 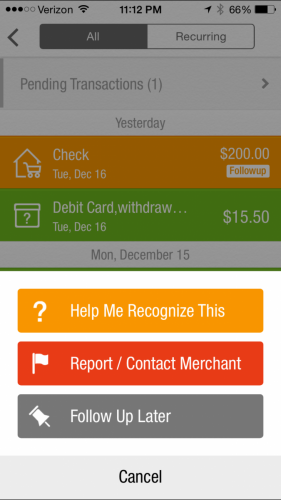 Instead, they notify you any time your cards are charged away from your phone. Online purchases don’t trigger alerts, but if you have your spouse’s accounts linked to your BillGuard login, then you will receive alerts when they make purchases without your present. This is a very unique feature I never knew I wanted until I tried it out. You can view all the FAQs here. In addition to location-based fraud protection, you can also look up questionable charges and report unauthorized ones. BillGuard will even contact the credit card companies for you in the event of fraud. But wait, that’s not all! In addition to helping you with fraudulent charges, they will also notify you if there’s a data breach at a store you have used a linked card at. It’s sweet! 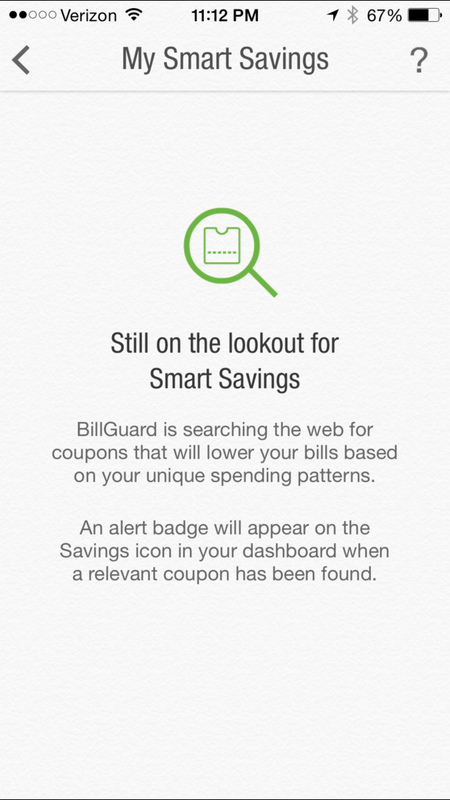 I have yet to use the coupon feature of BillGuard, because it never populates with coupons. I’m not sure if this is a glitch or the if feature is still in beta. Either way, it sounds like a good idea. 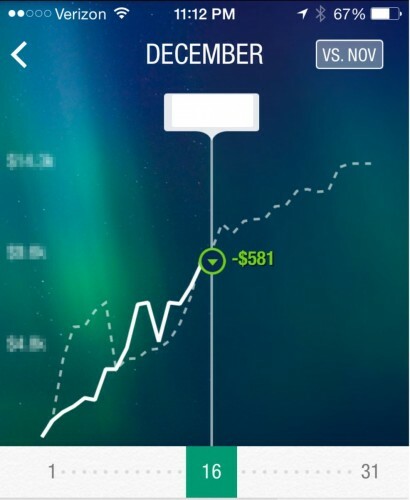 The analytics shown on the mobile app aren’t near as in-depth as the ones shown online, but it gives you a general picture of your daily and monthly spending. It’s pretty neat to see how each month compares. BillGuard is teaming up with Protect my ID to offer identity protection in January. It’s unknown whether this will cost money or not, but my assumption is that it will. You can find more information here. 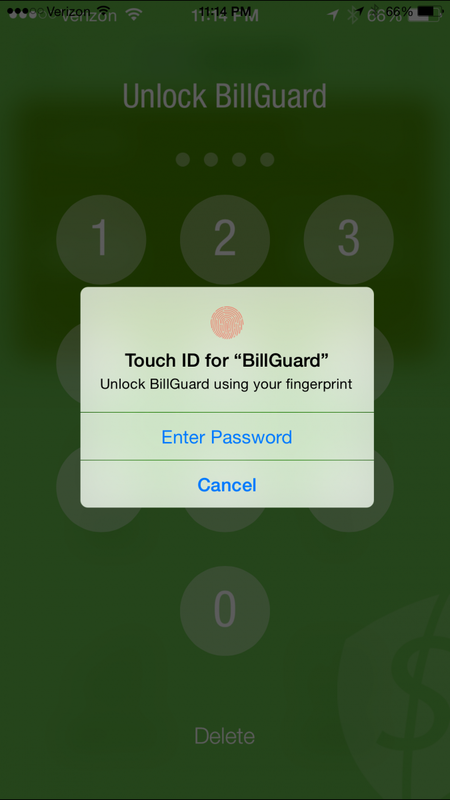 If you have an Apple product with Touch ID, you can easily bypass entering your PIN every time you login to BillGuard on your device. It’s a simple feature, but it makes life a lot easier! You can find the app download links here. 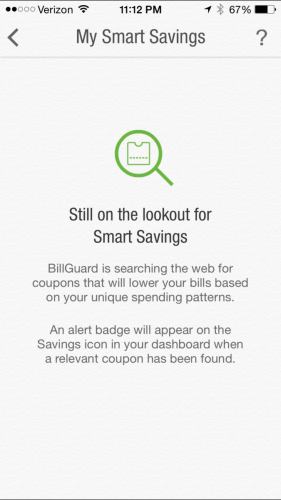 BillGuard similar to Mint in the sense that they can both monitor your accounts, but the difference is in the features and ads. 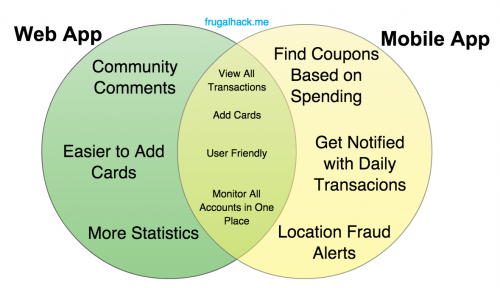 Mint is a catch-all that’s set up to do a number of things like budgeting, transaction monitoring, credit card pimping, and other quite unnecessary things. 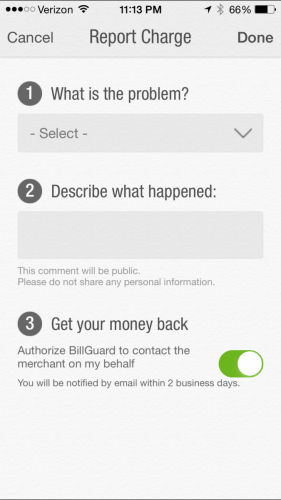 BillGuard on the other hand does on thing very well – It monitors your accounts for fraud. I suggest adding all your accounts on the web app, because it’s much faster. If you click on a transaction on the web app, you can leave comments and see what other people have to say about similar transactions. You can analyze your spending in many different ways (e.g. by day, by month, by year, by lifetime, by card, ect.). The web app is more set it and forget it than the mobile app. By that I mean you should set your account up online, then just use the mobile app for your transaction monitoring. 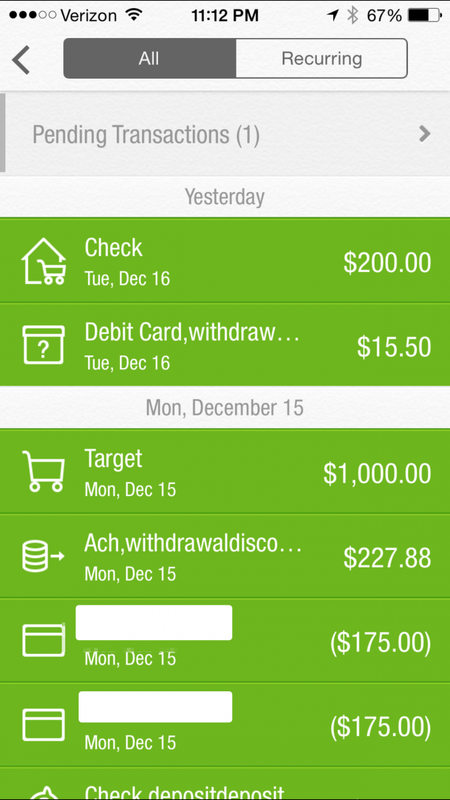 The iPhone app (at least on the 6 plus) is kind of wonky. I often have issues with it freezing and lagging, but it’s still a work in progress, so I’m sure that will be ironed out. It’s also not made for the iPhone 6 plus resolution, which means it looks like it has jitterbug icons. If your interested in checking out BillGuard, you can find information and sign-up links at billguard.com.